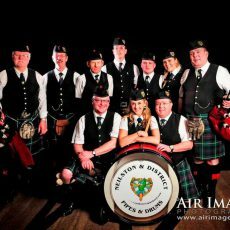 Pipers Pipe Bands and Bag Rock bands for weddings and events. 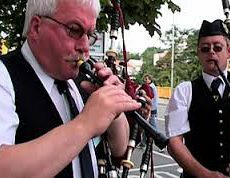 Hire Pipers, Wedding pipers, Pipe Bands & Bag Rock bands. 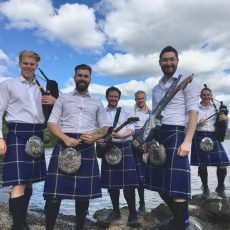 No occasion is complete without a Scottish piper or Pipe band to pipe in the guests, pipe in the top table, or pipe a bride and groom on their wedding day. 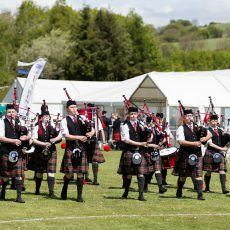 In recent years there has been an upsurge in popularity for piping groups with a modern twist. 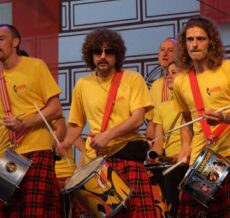 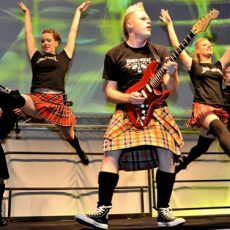 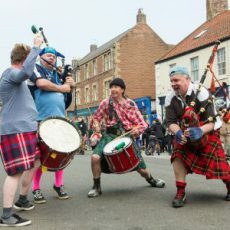 Back Rock bands like the Red Hot Chilli Pipers, Bag of Rock, Saltire Beat and the Bag Rockers have introduced Rock guitar and keyboards along with Scottish Bagpipes and drums. 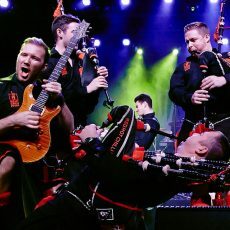 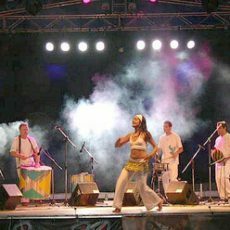 They play a mix of traditional tunes and rock anthems. 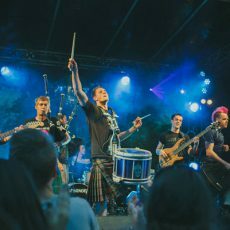 Hugely popular these bands are in great demand at home and overseas. 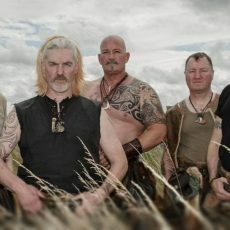 Also popular are authentic tribal bands like Clann an Drumma – dressed like medieval warriors they play music that involves heavy use of drums and Highland Bagpipes . 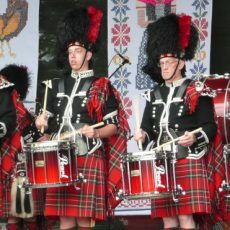 For a spectacular ending to any event nothing compares to a pipe band in full highland dress marching into a room playing a selection of tunes and “Beating the Retreat” with the drum major leading the audience to the exits. 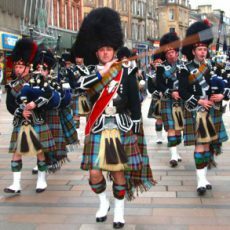 We have sent pipers all over the world to Bangkok, French Alps, Barcelona, Canada & USA. 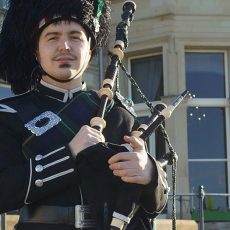 To book pipers for Glasgow, Edinburgh, throughout the UK or Worldwide call or e-mail Neil Drover Agency for free friendly advice and we will help you choose the best Pipers, at the right price for your event.